These so-called biologics are particularly sensitive and tend to interact with primary packaging materials because of their complex molecular structure. Hence, they require a packaging solution that ensures drug stability during their entire shelf-life. At the same time, the packaging should also be easy to process on the filling line. To achieve all this requires close collaboration between pharmaceutical companies, packaging experts, elastomer producers, machine manufacturers and device developers. This enables packaging innovations to be developed that support the fast time-to-market of high-quality drugs and ensure patient safety. Ideally, a packaging producer should be involved in the development of the pharmaceutical at an early stage and offer platforms that support stability throughout the entire product lifecycle. SCHOTT Pharmaceutical Systems is an expert in this field. 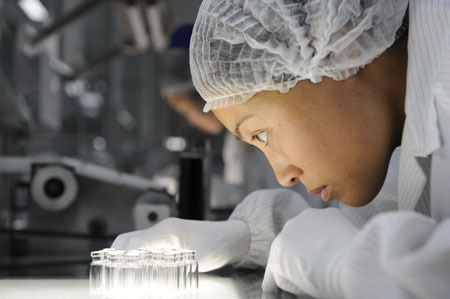 As a leading system solution provider of pharmaceutical primary packaging and analytical services, it offers a comprehensive product portfolio for pharmaceutical packaging that includes high-quality vials, ampoules, syringes and cartridges made out of borosilicate glass, as well as several polymer solutions. As biologics tend to target smaller patient groups, pharmaceutical companies need to shift from the production of large quantities to smaller batches, meaning that filling processes must be optimised to enable fast changeovers. 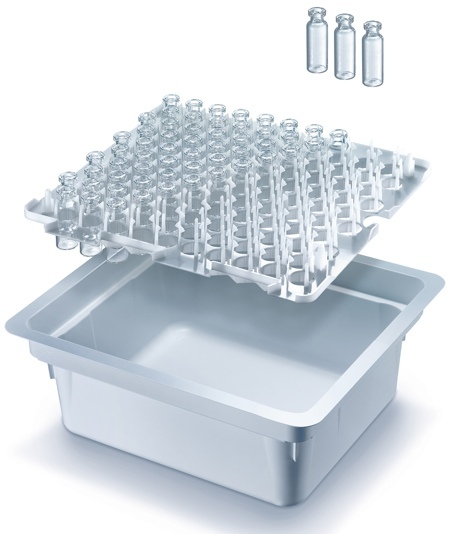 Whereas pharmaceutical producers previously had to adapt their filling machines for each batch and its tub format, the iQ platform from SCHOTT offers a flexible solution. It was developed with partners and represents a prime example of close co-operation. As syringes, vials and cartridges are delivered in a standardised tub, pharmaceutical companies are able to flexibly fill different biologics, for example, in a variety of packaging materials on the same line and reduce changeover times. 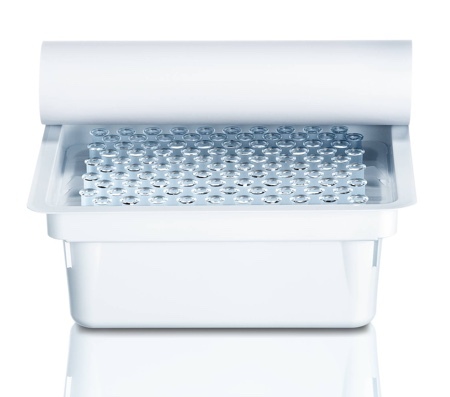 The versatile iQ portfolio of presterilised containers includes ready-to-use (RTU) vials, cartridges and syringes in a wide range of sizes, including prevalidated elastomer combinations. At the same time, adaptiQ vials, cartriQ cartridges and syriQ syringes proceed through the filling process, fixed in a nest, to prevent glass-to-glass contact. This, in turn, reduces the risk of glass breakage, which is particularly important in the case of highly priced biologics. Coated containers are also playing an increasingly important role in the production of highly sensitive biologics; they provide the inner surface with improved functional properties to ensure drug stability. SCHOTT uses the PICVD (plasma impulse chemical vapour deposition) process to apply coatings to vials, during which a Si-O-C-H layer is applied in the vacuum of a plasma reactor. This gives vials a 40 nm thin, transparent, pore-free coating. Just like uncoated vials, they are suitable for all common downstream process steps in the pharmaceutical industry, from washing, autoclaving and sterilisation to depyrogenation at temperatures of up to 350 °C. In addition, the PICVD process is a silicone-free procedure that significantly reduces particle contamination. For medications such as high sensitivity biologics that have to be freeze dried, SCHOTT offers its TopLyo vials. These have an inner 40 nm thin layer with hydrophobic properties that are similar to the lotus effect. The coating shrinks any remaining liquid into individual droplets, leaving the vial residue free. As a result, the containers can be emptied very easily. The coating also makes it possible to reduce or completely prevent the adhesion of substances to the container walls. Subsequently, it ensures less fogging, which leads to a better cosmetic result during lyophilisation. There is also less breakage of the lyo cake after the freeze-drying process and during transport. 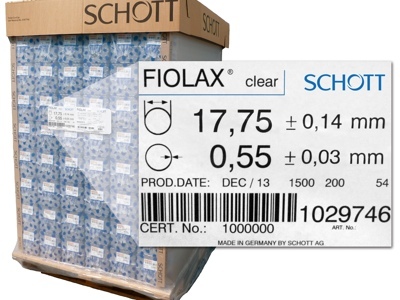 In addition, SCHOTT TopLyo pharmaceutical vials have less protein aggregation than siliconised glass vials because the layer is cross-linked and covalently bonded to the glass matrix. Besides SCHOTT’s TopLyo pharmaceutical vials, the company also offers SCHOTT Type I plus, a vial with an internal SiO2 coating that significantly reduces the interaction between the glass surface and the medication, ensuring drug stability. As such, it counteracts the loss of any active ingredient activity caused by soluble components in the glass. The coating gives vials a quartz-like surface and pharmaceutical properties that are EP, USP and JP compliant. 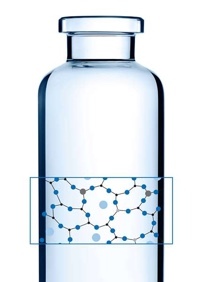 The barrier layer protects both the formulation and active ingredients (APIs) against components, and the glass matrix against corrosion and attacks by the active ingredients and buffer substances. 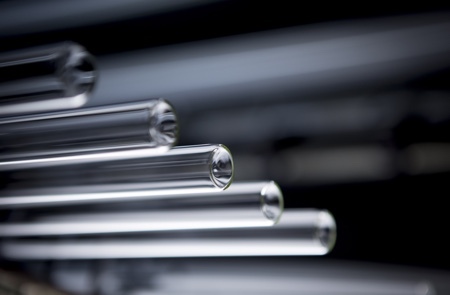 With this method, the leaching of naturally occurring ions (sodium, calcium, boron, silicon and aluminium) in the glass is reduced to a level below the detection limit (tested according to EP 3.2.1). 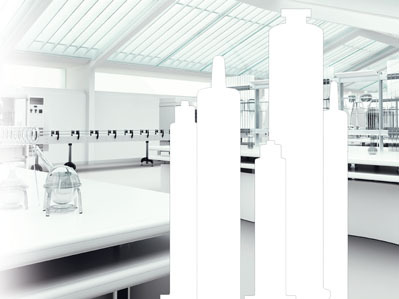 Highly suitable vials from SCHOTT for sensitive biotech drugs, high potent drugs or vaccines are known as next-generation vials. They combine a number of modular features that lead to unmatched drug stability for even so-called low-fill applications as well as efficient and cost-competitive fill and finish. The superior chemical resistance and extractables and leachables (E&L) profile, as well as low leaching out of the vial’s wall near the bottom area and out of the bottom, ensure high drug stability. 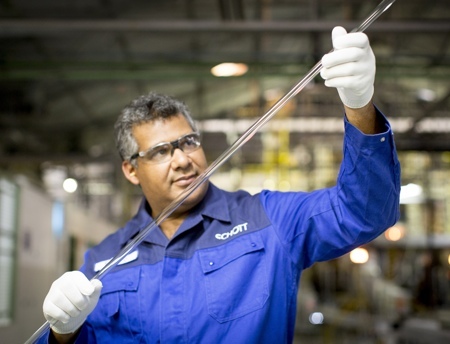 The vials are made of Type I FIOLAX borosilicate glass with improved properties and include the company’s validated delamination-controlled production process. Both aspects ensure that the inner surface is particularly resistant. For pharma companies, this means that no change in registration files is required as the interior surface will remain untouched in its known borosilicate Type I form. The offering will also enable pharma companies to improve their TCO through more efficient processing on fill and finish lines. 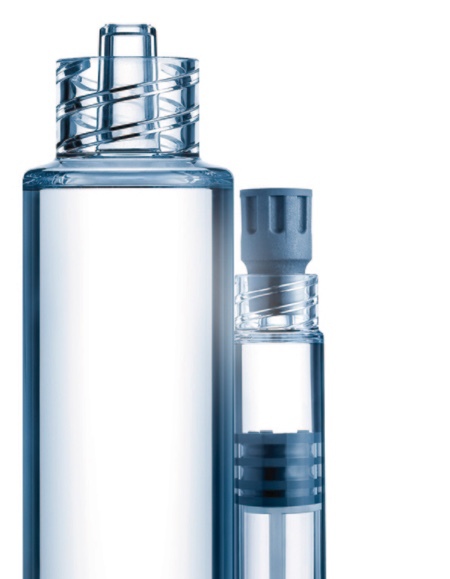 This is achieved through flawless glass quality from tube to container by optimised processes, which increase the vial’s strength. Improved dimensions lead to perfectly shaped geometry and optimised filling line yields. Lastly, a low-friction outer surface reduces any sticking or climbing effect on the filling lines, ensuring smoother operation. In the syringe segment, the company has developed syriQ BioPure glass syringes for highly sensitive formulations such as biotech pharmaceuticals. The new glass syringes feature lower adhesive residues and minimum tungsten levels (ICP-MS certificate available), which supports a low E&L profile while ensuring drug stability. The 1 mL syringe is available with elastomers, which further provide a low E&L count. This reduces the risk of possible drug/container interactions during storage. At the same time, an optimised siliconisation process provides a uniform inner coating, which improves the administration process. The syringe is available in 48 prevalidated combinations —including various closure systems — and can be adapted to a wide range of applications. 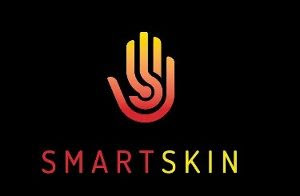 syriQ BioPure is also compatible with conventional safety devices and autoinjectors, simplifying self-administration for patients. 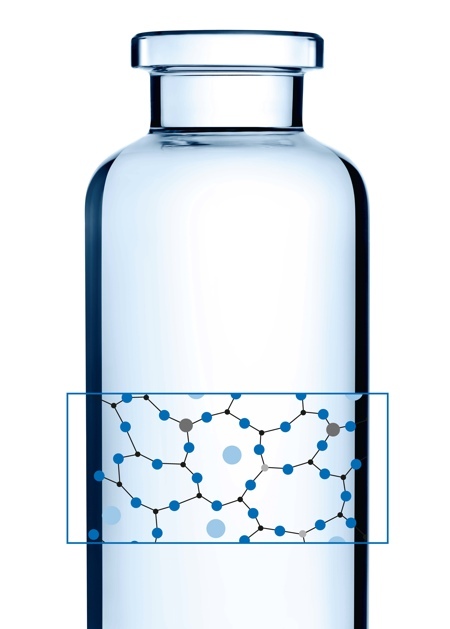 Owing to its diverse properties, polymers are becoming increasingly important as a primary packaging material for biotech pharmaceuticals in addition to glass. The market for prefilled polymer syringes (PFS) has grown continuously in recent years. 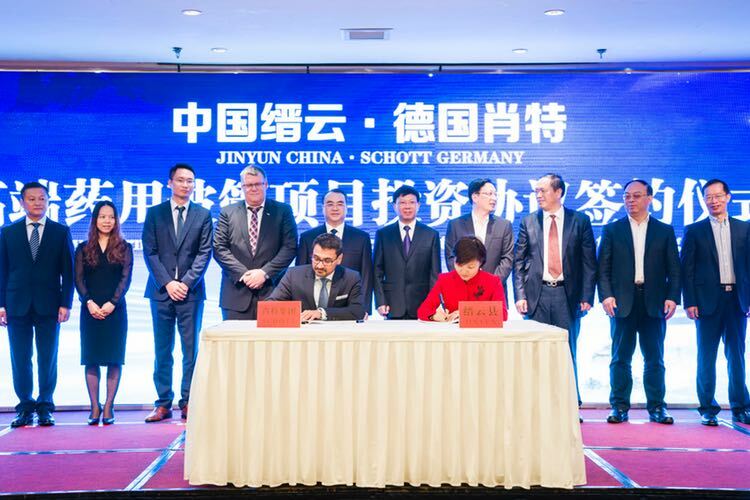 SCHOTT is one of the pioneers in the production of high-quality prefillable polymer syringes and has a patented technology for siliconising the inside of the syringe body. Cyclic olefin copolymer (COC) in particular offers a number of advantages for producing pharmaceutical containers. SCHOTT TOPPAC polymer syringes are particularly break-resistant, lightweight and offer very good barrier properties, as neither ions nor heavy metals are used in their production. The particle level is also lower than with glass syringes. Owing to the high moisture barrier properties of COC, injectables can be stored for longer periods in small containers. 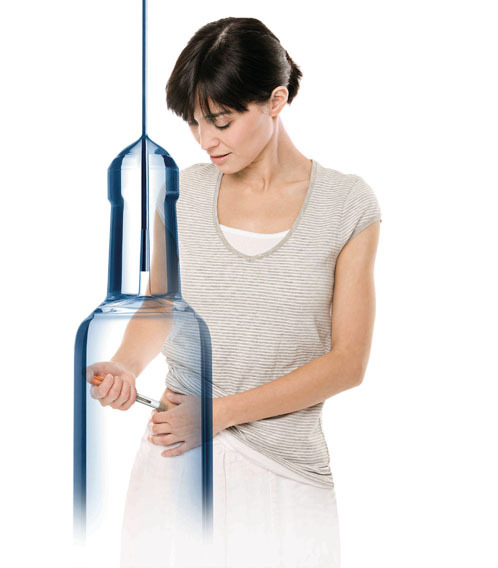 SCHOTT TOPPAC syringes are ideal for the sensitive and biotech pharmaceutical markets and have a particularly low E&L profile. This is enabled by the use of a special elastomer to make the plunger stopper, cross-linked silicone inside the syringe body and ETO sterilisation. These properties enable the polymer syringe to ensure greater storage stability for sensitive drugs. Besides its transparent, glass-like appearance and its physical stability, the material offers new possibilities thanks to its diverse design options. The high design flexibility of COC makes it possible to meet the specific requirements of a drug or application. SCHOTT uses its existing material expertise and processing competence to work with customers to produce a pharmaceutical container that exactly matches the required dimensions of a particular device. This allows device makers to focus on device development without having to cut back on design.